Shop until you drop—literally! 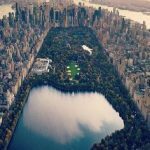 Visiting New York City this summer or even in the Fall? Then this is the package for you. We’ve teamed up with Cassa Hotel (in the center of the city) to bring you the ultimate ‘See New York, Shop New York’ package. Book five days stay with the hotel and arrange an exclusive shopping tour with us. You can choose the historic Garment District or Chic boutiques downtown —both end with a complimentary cocktail at the city’s notoriously chic Butter restaurant. After all, you deserve it after a hard day shopping. Did someone say FREE? Every year we get excited for Good Morning America’s FREE Friday Summer Concert Series in Central Park and this year is no different! The star-studded lineup is in full swing, don’t miss out on one of New York City’s truly hidden gems. Loved The Great Gatsby? 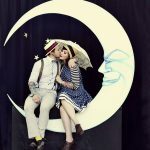 Live out your fantasy at the infamous Jazz Age Lawn Party, starting this Saturday June 11th. Fully embrace summer in the city at this original prohibition inspired gathering. Hosted by Michael Arenella. It’s your turn to dress up to the nines! 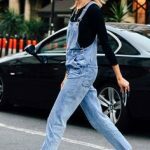 We cannot get enough of overalls this summer! Seems like the trend has made a strong comeback as we see everyone rocking their own style. Keep it comfortable for days spent walking around the city, especially on one of our shopping tours! A shopping tour with us means super stylish, wholesale finds but even we want you to find more gems in the city to complete your wardrobe. See our pick of the best sample sales this month and remember, if you take a tour with us, we also give you a FULL list of sample sales in the city. Tory Burch – FEW MORE DAYS TO GO. Amazing discounts on women’s clothing, shoes and bags. Running until June 10th. Mon-Fri 11am-7pm. 261 W 36th st.
Full of Grace NY – Hip jewelry brand up to 50% off! Running until June 15th. Mon-Fri 10a-6pm. 611 Broadway, Suite 730.